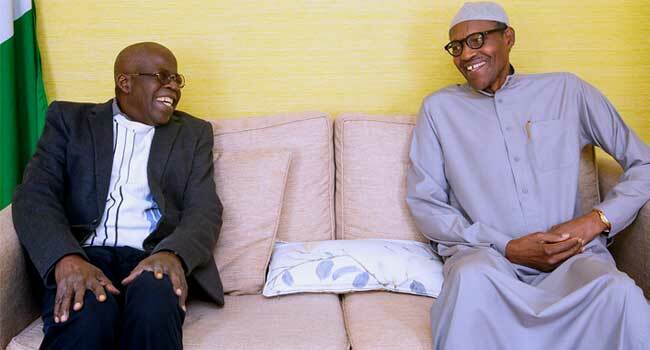 President Muhammadu Buhari on Sunday received the national leader of the All Progressives Congress (APC), Bola Tinubu in London, United Kingdom. This was before the President received a support group called Buhari Diaspora Support Organisation also in London on Sunday. The President is currently on an official visit to London. He earlier met the Archbishop of Canterbury, the Most Reverend Justin Welby, last week Wednesday, whom he explained to why he was seeking re-election. Responding to question by the Archbishop of Canterbury on the clashes between herdsmen and farmers in different parts of Nigeria, President Buhari lamented that the crisis has long existed. “The problem is even older than us. It has always been there but now made worse by the influx of armed gunmen from the Sahel region into different parts of the West African sub-region. “Herdsmen that we used to know carried only sticks and maybe a cutlass to clear the way, but these ones now carry sophisticated weapons. The problem is not religious, but sociological and economic. But we are working on solutions,” Buhari said. 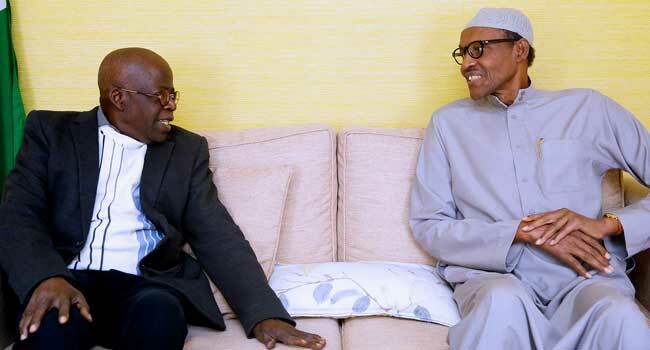 The President left the country on Monday, April 9 for London to hold discussions on Nigeria – British relations with Prime Minister Theresa May prior to the Commonwealth Heads of Government Meetings scheduled for 18th to 20th April, 2018.